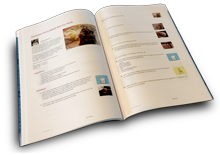 Thanks for including my recipe in your cookbook. This is another great cookbook, with one of my favorite vegetables, spinach. Thanks for including one of my favorite recipes.